I was walking down Via Fori Imperiali, like I do about once a week (or almost every day in the summer time), and paused to say hello to the large Chia pet whose has been an old friend in the past decade that I have been coming to and living in Rome. He's big, he's hairy, and he's definitely Ancient Roman Chia Monster. Funny thing is, I didn't even notice him this time. 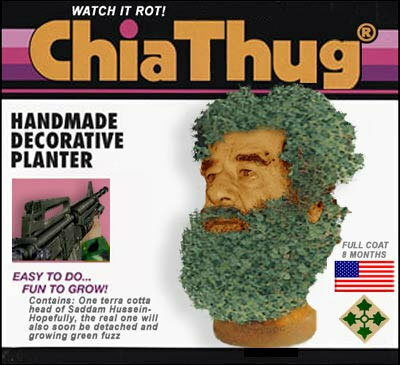 This is the only weird Chia photo I could download. As my eyes followed the usual Chia pet path, scanning down the Basilica di Massenzio to grassy knoll below and catty-corner to the Basilica (fyi- I love catty corners, or anything catty-- especially if it's me.) I noticed an amazing excavation in front of the Basilica di SS Cosma e Damiano. Crates of medieval majolica and pavements decorated with large humungoid round marble circles-- the floor of a late 1st century temple. And in a few weeks, they will be covered up, not to be seen by anyone for as long as there is no funding. . .which means never again. And if you have the time, pass by and take a look before they are covered for ever. And if you really like surprises, also pop into the church in the morning (around 9 am) or afternoon (post 2pm), and ask the rector or custodian if you can see the old church.